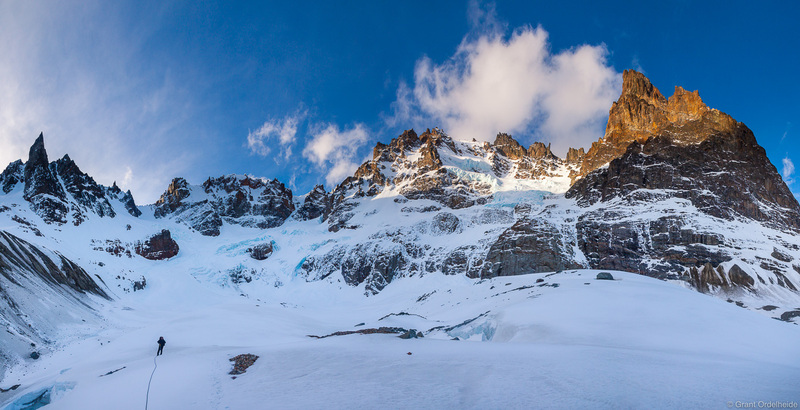 A climber traversing the glacier below Cerro Peñon in Cerro Castillo National Reserve.
. Photo © copyright by Grant Ordelheide.